Angelia had a very bad stomach pain throughout the whole night. We suspect it could have been the seafood spaghetti she ate last night. Decided to call for a doctor. Hotel operator said it will cost around RM400. The doctor came at around 9am, he gave her some medicine for the pain and antacid pills. 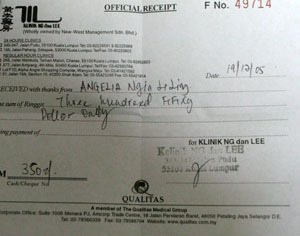 The bill came up to RM350. By 11am, Angelia felt better, and is getting ready for the country tour. We booked our inbound tour package with Yaji Travel (which happens to have a counter at Melia Hotel - opposite Times Square). As we were the only 2 person to book the tour, our transport came in the form of a private car driven by Mr Zain (He was quite helpful and friendly, which prompted us to book his car for the next day for around 4 hours - RM50 per hr for 1st 3 hrs, RM40 for subsequent hrs). 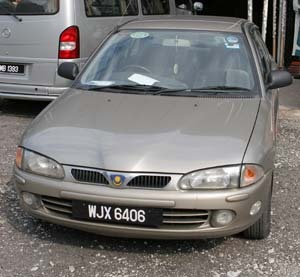 The quite comfortable Proton used to ferry us around. Our first stop was the Dragon's Home. 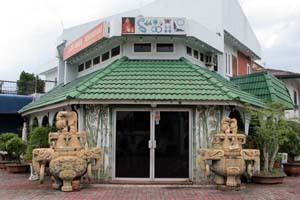 This is the biggest one-stop centre for Jade and other types of precious stones in KL. Most of the tour groups will definitely bring the tourists here for a visit. From the inside of the house, you will be able to see the signage in the photo on top of the doorway. 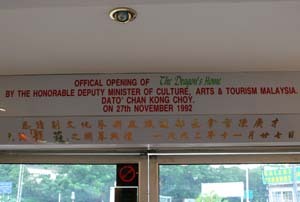 The place was opened by the Deputy Minister of Culture, Arts & Tourism Malaysia on 27 November 1992. The whole place looks a bit like a jewellery shop, selling all sorts of jade stones and stuff. Nothing has changed since the last time Angelia and me came in year 2000. 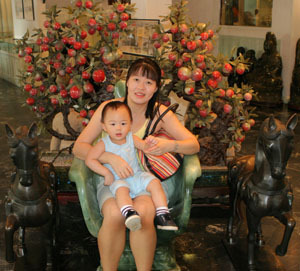 The moment you enter the place, you will see this huge chair carved from Jade, flanked by 2 horses. There is also a jade peach blossom tree right behind the chair. 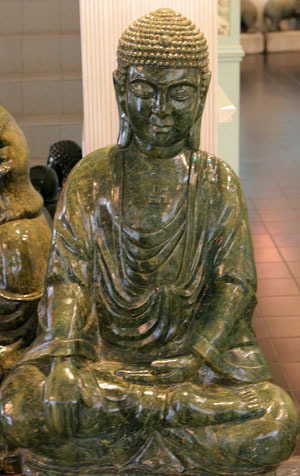 One of the buddha statues in the shop. There are quite a few sculptures around the place.